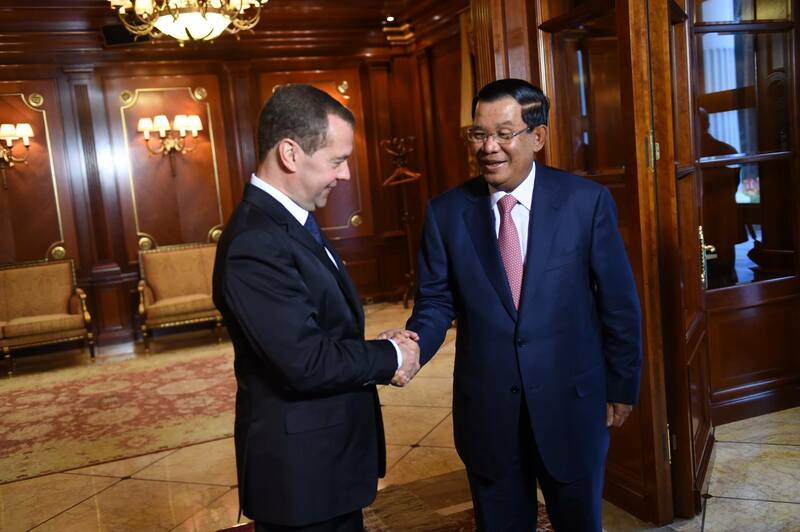 Russian Prime Minister Dmitry Medvedev (L) and Cambodian Prime Minister Hun Sen (R). The countries also agreed to cooperate in civil nuclear energy. Russia and Cambodia signed a military-technical cooperation agreement on May 17, TASS reports. The agreement was signed after talks between Russian Prime Minister Dmitry Medvedev and his Cambodian counterpart Hun Sen. The countries also agreed to cooperate in the peaceful use of nuclear energy, according to the report. Hun Sen is in Russia to attend the Russia-ASEAN summit in Sochi. Russia: A new strategic partner for ASEAN?